View More In Pie Pans. The Pyrex Easy Grab Glass Pie Plate saves space and time with the ability to bake and store in the same easy-clean containers. 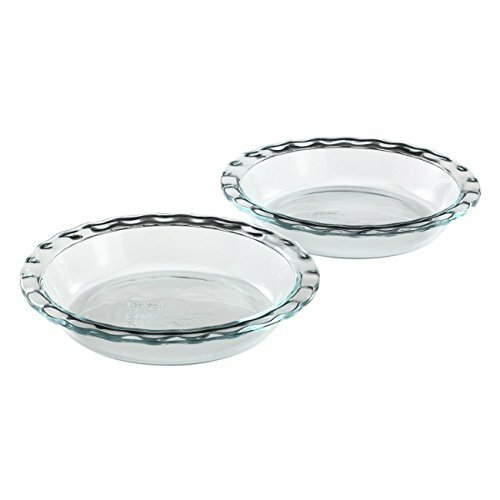 Pyrex Easy Grab 2-piece set includes: two (2) 9-1/2-inch pie plates. Each pie plate is made from Pyrex glass which is microwave, dishwasher, preheated oven, and freezer safe. These plates are made of non-porous glass, so they won’t absorb food odors, flavors, or stains. The plates' contoured edge creates a beautifully sculpted crust for your pies. Pyrex glass is made in the USA and come with a 2-year limited warranty against manufacturer defect. If you have any questions about this product by Pyrex, contact us by completing and submitting the form below. If you are looking for a specif part number, please include it with your message. © 2019 - seasonscafebakery.com. All Rights Reserved.